← First Week of Spring: Let the Harvest Begin! Spring Week 2: Where are you, Spring? When the weather is gray and soggy like it’s been, it gets difficult to stay optimistic. This blog is helpful to me as a journal. I can look back at the last few springs and remember that it is nearly always like this. We’re chomping at the bit to get going, but all we can do is bide our time until the starting gate of sunshine opens up. Maybe that will be Thursday! 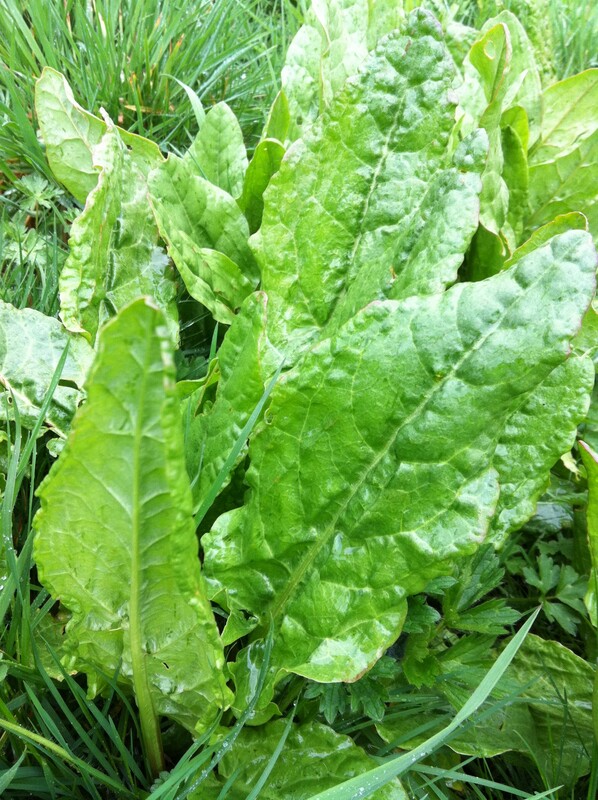 The greens sure are lovely this time of year! We hope you’re enjoying their fresh flavors. Greenhouse 1 is starting to fill up with flats of transplants. 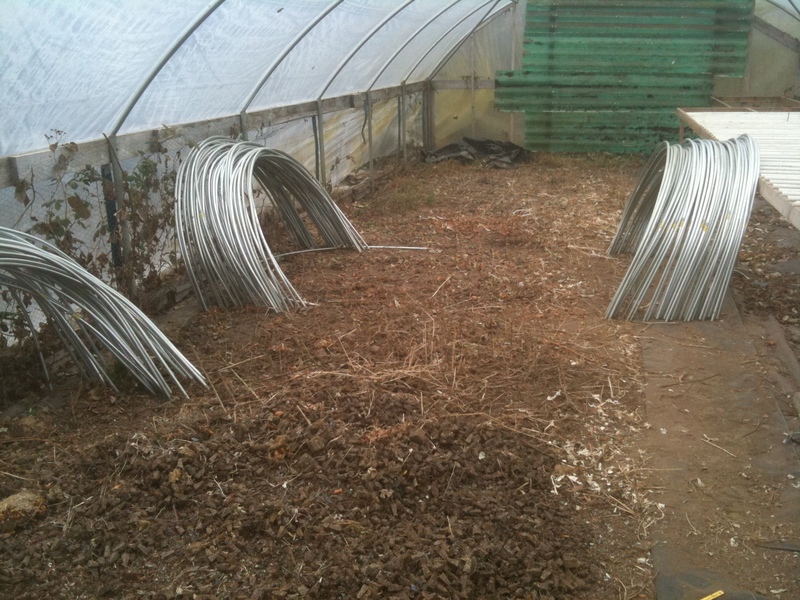 Luis has turned 150 pieces of electrical conduit into mini-greenhouse hoops. Now, if it would just dry up for a day or two so we can plant outside. These little tunnels should end up about 4 feet tall and 6 feet wide and 100 feet long. Room for 4-5 rows of crop. We’re planning on putting radishes, spinach, arugula, green onions, and Yokatta-na inside them. We can’t wait! Steel tunnel hoops waiting for their lot in life. The excitement of the week was picking up our newest little addition to the farm. 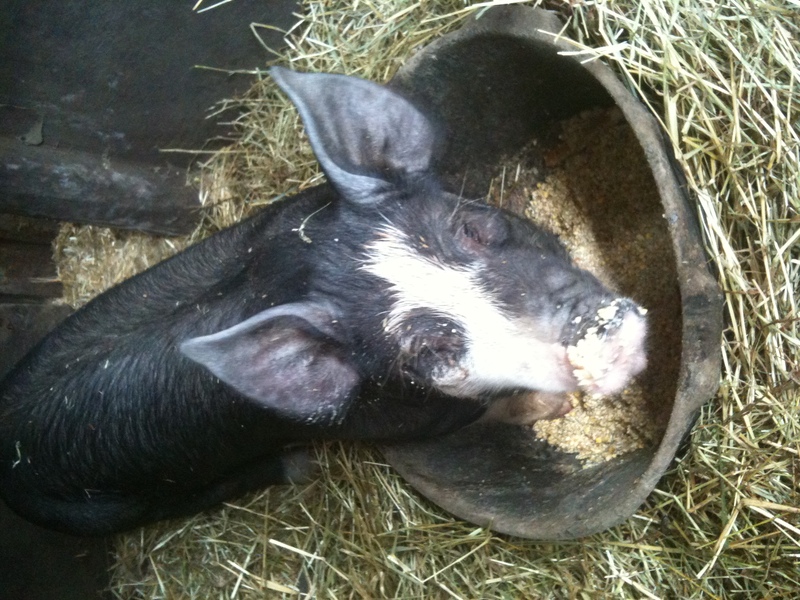 Last year we sold all of our sows but one, Sweet Bess, to Stokesberry Farms in Olympia. The provision was that we would get one of Lucy’s daughters back when old enough to wean. Here she is, Lillibet. She will be ready to breed in the fall, and have her first litter (hopefully) this time next year.